Rainy season during your pre-wedding shoot? 4 ways you can prep for it! 11 local wedding dress designers! Unexpected results can turn out more beautiful. Here are some ways to make the best of a rainy wedding shoot. Coping with rain on the day of your wedding shoot starts and ends off with your attitude. While there are a few things you can do to prep for it, being open and flexible is key to having a pre-wedding shoot that you’ll be happy with. If you’re looking for a magical tip that would make the rain disappear, or somehow have a shoot with great natural light even though it was taken during a storm; then we would have to let you down. Unpredictable situations provide blessings in disguise and it is up to you to recognise them as they come. There are things beyond our control and it is up to us to create something beautiful. 1. Before the start of the shoot, check with your photographer on how they deal with bad weather. If postponing the shoot due to bad weather isn't an option because you have taken leave off from work etc, the next best thing you can do is to check with your photographer if they have a stand-by solution to ensure that you can still complete your shoot on the appointed date. 2. Discuss on alternative indoor venues with your photographer. For example, if you’d still want a location that offers shelter and a natural, outdoor look, you can head over to the Cloud and Flower Domes at Gardens by the Bay. You can also consider doing a shoot right at home for nostalgia – be it at your new flat that’s undergoing renovation, or just in either of your rooms that you grew up in. Following the same lines, you can choose to shoot at places you frequent as a couple, or places that hold personal meaning to you. Whether it’s your favourite café, or the NTUC you have your weekly grocery runs at, the list goes on. 3. Break out the brollies and ponchos. For casual themed shoots, you can prep some colourful and cute rainy weather outfits and props like transparent umbrellas (so that your faces can still be seen), or pastel rain ponchos and use them as props. They will add a pop of colour and fun to your otherwise dreary shoot. Before you bemoan over your luck and bad timing, how about doing some prior research on how other couples have managed to get great pre-wedding images that are taken in the rain. There will bound to be some you like and you can file it away for your photographer's reference. See also: 5 WAYS TO HAVE DREAMY WEDDING PORTRAITS EVEN IN BAD WEATHER! 6 things you might regret not doing for your wedding! Score a free wedding at W Singapore! 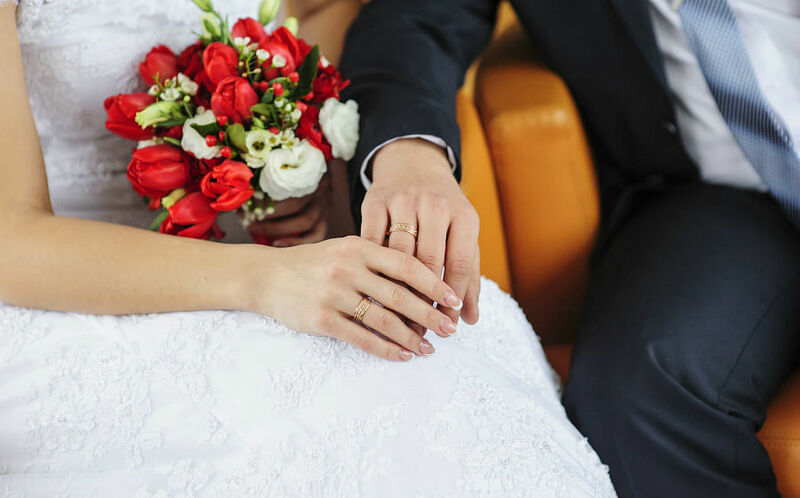 Get the latest in bridal trends and wedding advice from planning the perfect dream wedding to what to do with your in-laws. get invitations to events, special promotions from our partners and chances to win great prizes when you sign up!